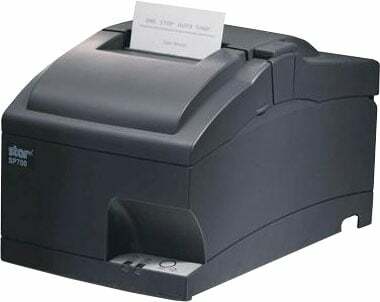 Star SP712 - Receipt Printer, Impact Dot Matrix, 4.7 LPS print speed, 70 mm paper width, Parallel Interface, with Tear bar and Internal Universal Power supply, Color: Gray. Does not include necessary interface cable (Part# 02798). The Star SP712 combines ease of use, high speed, reliability, a tear bar and a compact footprint to provide a value-driven solution. The SP712 is a printer made of a proven technology (Impact Dot matrix) with all the tools that allow you to use it with the latest PC hardware and still using legacy POS software. The SP712 features a swappable communication interface that allows you to upgrade the printer at any time to support USB or Ethernet. 4-Year Swap-A-Star for the SP500 and SP700. 3-Year Swap-A-Star for the SP500 and SP700. 4-Year Extend-A-Star for the SP500 and SP700. 3-Year Extend-A-Star for the SP500 and SP700. 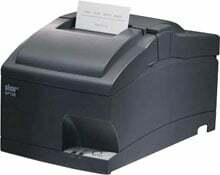 The Star SP712MCGRY is also known as Star Micronics	SP712MCGRY	.